Is it Vacation Time? 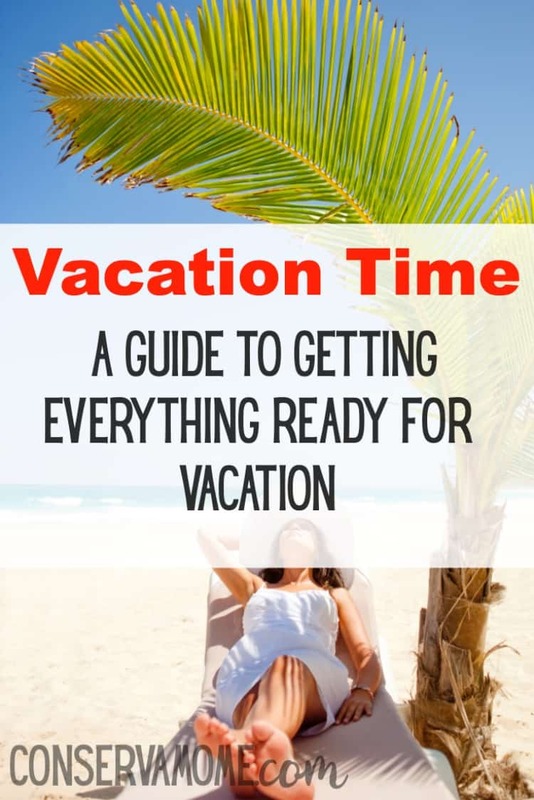 Check out this guide to getting everything ready for Vacation and keeping your sanity when getting ready to go away. Vacation is coming up and there is so much to do. The pet sitter has to be confirmed. Do you have all the right clothes for the climate you are traveling to? Are the passports valid? How are you getting to the airport? These and many other questions have to be answered before you leave for your vacation. When you have children the preparation will be multiplied. Here is some information that might help make your vacation preparation easier. When going on vacation, people do not know you. You do not necessarily have to be so dressed up and impress anyone. By packing light and wearing things like cotton that you can use more than once is a good idea. The lighter you pack the easier it is to get around. You can always buy toiletries and other stuff as well. Buying small containers and taking only the amount of bathroom stuff you need saves a lot of space. Really think about what you are bringing and ask yourself, do I really need that? Planning a vacation way in advance can help make sure everything is ready to go when the time comes. Every day up to your vacation is a chance to visualize what you will need before you leave. Not only will you need to make sure you bring everything necessary, but you will also want to make sure everything at home is taken care of. You might need to call your bank and tell them you are going to be using your card in a different state or country. You might need cash for certain things you can’t pay for with a card. There are always little things you might not think of. You always want to make sure you have the chargers for all your technology. There are three perfect ways to get to the airport getting a service to take you, getting a friend to take you, and parking your car at the airport. All three ways to get to the airport have their ups and downs. Getting a car service can charge a lot for extra luggage. Service is nice though because they pick you up and drop you off and it is as simple as that. Safety these days is sometimes a factor. You do have to wait and some people do not like that. A friend picking you up is nice, but reliability can be a factor. Their car may break down or something could come up. It is a risk sometimes asking friends for favors that involve specific times. The only downside to parking your own car at the airport is having to pay for long term parking. The prices are usually reasonable, so it is not so bad. You can check https://gotparking.com/ for parking rates for locations close to the airport. The beauty of parking your car at the airport is you get to be in your element sooner than later when you get off the plane. Many times when you go on vacation, you want to bring souvenirs back. It is better to buy a few good things like jewelry or flat pictures that will take up the least amount of space. There are so many fun things to buy, but try to buy things that you will use, like clothes from the region. Utilize your photos as memories. You can really save a lot of money and space by being smart about what you buy on vacation. Ask yourself if whatever you buy is going to end up in a box. If the answer is yes then possibly do not buy it. Get an instant gratification from a delicious drink at the bar instead and buy something more meaningful with value and less space. Vacationing is exciting but stressful. There is no need to sweat the stress part. By planning your trip way in advance, you can really save time and money. You do not want to have everything so planned that you can’t have any fun. Make things simple and enjoy the place you are going and all it has to offer. You don’t want too much stuff in your way ruining a perfect vacation.